Shopping around and comparing auto insurance rate quotes can be extremely confusing for many people. In addition to the different amounts of deductibles, you have to consider the type of insurance that you need, plus other variables that could cost you in the end if you are not sure how it is impacting the premium. This list of seven effective tips for saving money on car insurance will inform you of what effects your premium. This way as you are shopping around for free auto insurance quotes you will be in position to get the absolute best coverage without spending more than you have to. The deductible on your insurance policy is the amount of money that you will have to pay up-front in repairs if you were in an automobile accident. That money must be paid before the insurance company pays the rest of the claim. The basics here are that the higher deductible you choose, the lower your premiums will be throughout the year. The lower that deductible, the higher your premiums. Carefully consider the age of your vehicle so that you are not paying a huge deductible on a vehicle that has a very low blue book value. If your car is under ten years old, try to pay a higher deductible to keep your premium costs at a minimum. Take a close look at the insurance coverage and make sure you are not being charged an additional fee for towing charges. if you see a towing charge, ask to have it removed to reduce your premiums. The best way to make certain you are never in the position to need towing is to plan accordingly. To do this effectively, never let your car go under a quarter tank of gas, keep a spare set of keys hiding under the chassis, check the tire pressure in your spare tire, and make sure you have the tools to change a flat. While it is true your car could break down, if it is maintained throughout the year, it will not happen frequently. When you are shopping around for auto insurance quotes, one thing to consider is asking for discounts. Many insurance providers make it easy to identify which discounts can have a positive impact on your premiums while others do not. Each insurer has several types of discounts available for motorists, you simply need to ask if you do not see them on their website. The biggest money savers as far as discounts are good student discounts, low annual mileage discount, and having a home insurance policy with that same insurer. If you are married and if you only use the car for personal use, you could also quality for a very nice discount on your insurance premium. You could be paying a fee each premium for the ability to use a rental car in the event that you vehicle is ever damaged in an accident. If you average out the cost you are paying in your premium for that use of a rental car, it might come to $40-$50 for the year. 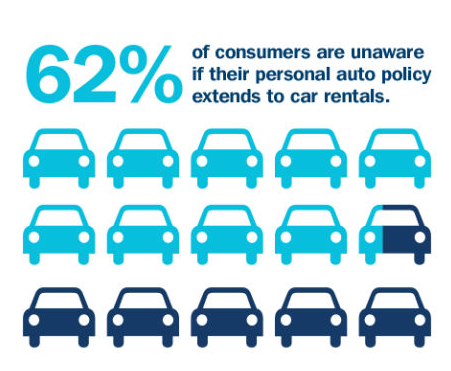 Consider that many local car rental companies are offering some of the lowest prices in decades to drivers. You could find an economy rental car for under $10 a day. Don't pay for the coverage you might never use, it can add up over the years. One of the most effective ways to save money on your auto insurance is to inquire about bundling packages together to get the best rate. Many of the big auto insurers will gladly give you a significant discount if you buy more than one type of coverage from them. Consider moving your home insurance, boat insurance, or motorcycle insurance, to one insurance provider. The bundling will allow you to reduce your total expenses for insurance and make it more convenient too. You can also learn about auto insurance fraud if you would like to know more. If the vehicle that you have insured is old, consider dropping the collision or comprehensive coverage. The reason being is that if your vehicle is totaled in an accident, the insurance company will only pay the cash value of the car. The insurance company is going to use their own criteria for determining the value, but you can get a ballpark figure at many websites that provide blue book estimates. If the vehicle you are insuring is worth less than $1500, it makes no financial sense to pay extra for comprehensive and collision insurance. It costs absolutely nothing to shop around and compare auto insurance quotes. One thing you need to understand is things have changed since the last time you shopped around, so don't assume that SUV is going to cost more to insure than that little Neon. The insurance company might base the insurance premium on the cost it would be to repair the vehicle, and in this case that little Neon would be much more costly to repair. Shop around and get your best quote when comparing apples to apples, then you can negotiate discounts with the insurer you feel most confident working with. Take Our Car Insurance Tips and Compare Quotes Today! 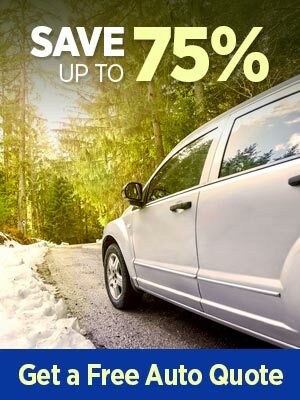 This list of seven effective tips for saving money on car insurance will put you in the best possible position to save the most money because you will be better educated to make the most informative decision. You can also get additional quotes on Home Insurance and Life Insurance quotes as well here on our site.